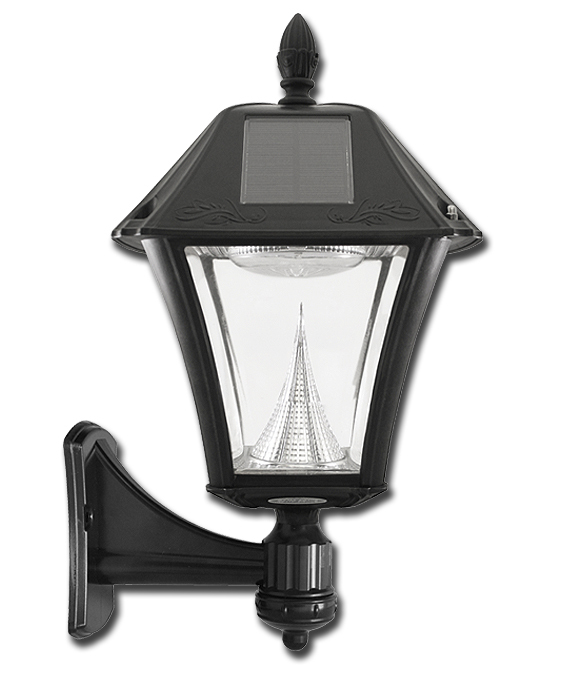 The Baytown II Outdoor Solar Light is one great solar lamp that shares the same traditional 19th century lamp design as its smaller (and dimmer) relations. 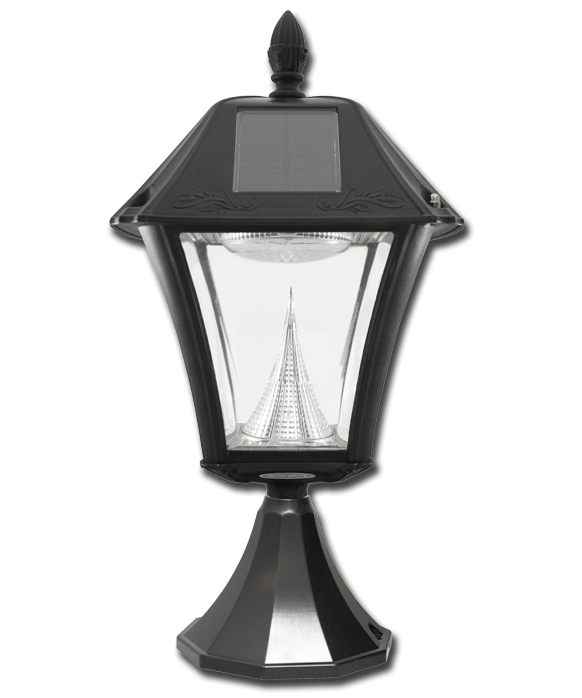 Baytown II Solar Lamps are a bit larger and almost 75% brighter than other Baytown lamps. 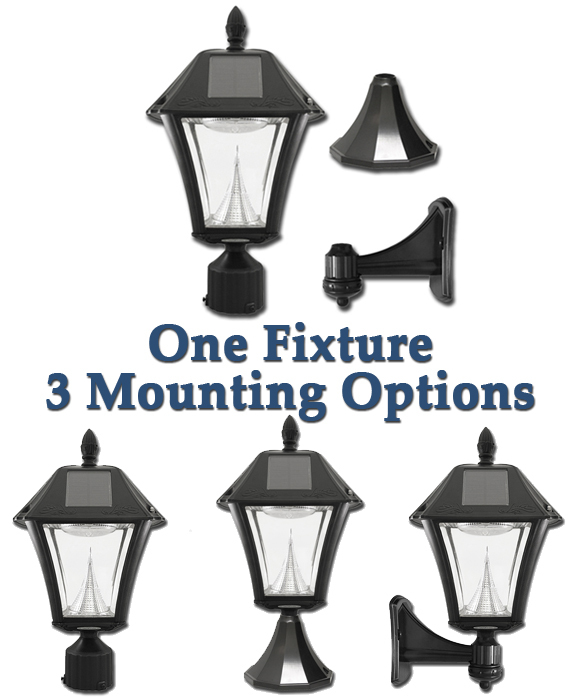 They also are more durable and lightweight for easier installation. The frame and panes are made of virtually unbreakable UV-protected advanced ABS polyresin. The price is lower than the smaller and dimmer Baytowns, but rest assured the color will hold fast for years and unlike cheaper plastic panes, the panes are designed not to yellow. 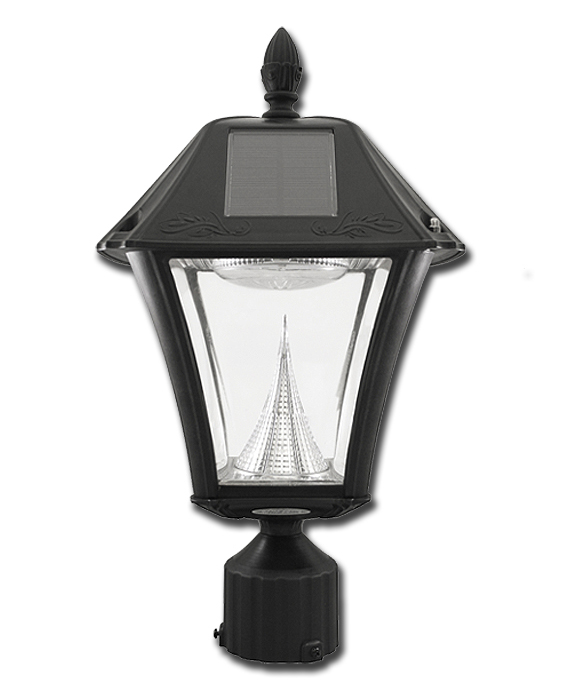 Like our other solar lights, the Baytown II series is an easy, cost-effective option for adding light to areas of your property without electricity, or to replace inefficient gas or electric lights. By day, solar energy is absorbed by four solar panels discretely integrated into the lamp's design and stored in rechargeable, replaceable lithium ion batteries. 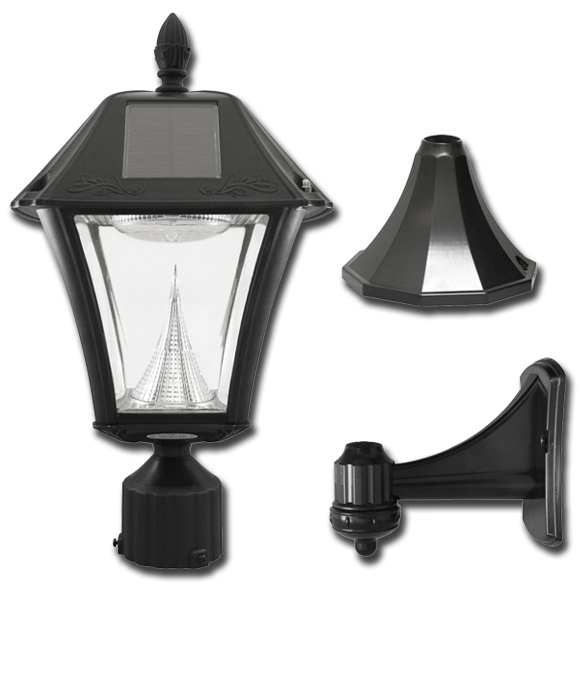 On a full solar charge (about six hours of direct sun), the solar light will automatically turn on at dusk and stay bright for up to 10 hours. The lamps also have a manual on/off switch. Five (5) ultra-efficient and bright advanced SMD (surface mount diode) LEDs are in each lamp. The LEDs light is intensified with a patented cone prism reflector that also helps effectively cast the LED beams effectively. The light output is 130 lumens (or about the equivalent of a 35 to 40 watt incandescent bulb).